Well after a week off last weekend, we're back with the latest edition and what a weekend it's bound to be. As you shall all know, this weekend is the biggest in the whole calendar of professional wrestling thanks to a little show taking place on the other side of the Atlantic this Sunday. However, it's just a regular old weekend here in the UK with bumper load of events all over this wrestling isle. Let's get Ready For The Weekend! Friday night kicks off with Grand Pro Wrestling who are back that their home of The Rose Club in Hindley, Wigan. 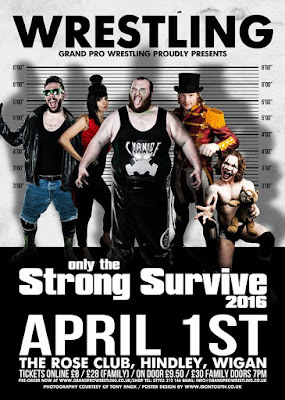 Their Only The Strong Survive event is packed with names with chaos bound to ensue. One championship up for grabs is the GPW Tag Team Championship. The Hate League will be defending the championship against 5 other teams in GPW's first ever Tornado Cibernetico. The teams challenging Hate League are some of the most successful in GPW with two sets of former champions and three long standing duos all fighting it out to walk away as champions. From one multi-man match to another as the current GPW Heavyweight and GPW British champions; T-Bone and Bubblegum join forces with Chris Ridgeway and Ashton Smith to face the group of Dylan Roberts, DDL, Craig Kollins and Travis Banks in an 8-man Survivor Series style match. Everyone wants to make an impression in this match and wins over certain people could be very lucrative in the future. One man with an opportunity that could also be lucrative in the future is 'Jumpin' Jimmy Jackson. Jackson is currently scheduled to compete in the next Fast Track 4-Way in May. However, Ricky J McKenzie is hell-bent on getting a shot at the GPW Heavyweight Championship by whatever means he sees necessary and has demanded a match for this Friday. Therefore, he will now face Jackson with the agreement that if he beats him, he will take his place in the Fast Track 4-Way. 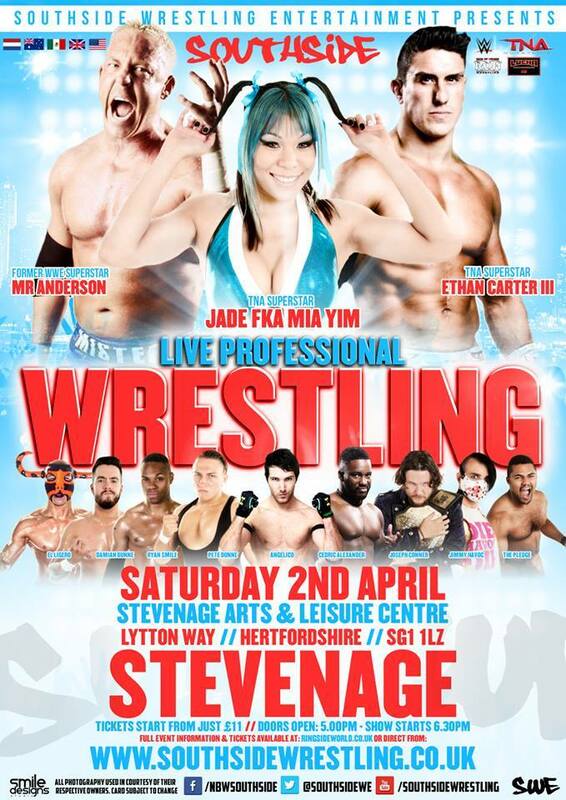 Moving on to Saturday and Southside Wrestling Entertainment hold the fifth installment of their Raw Deal event at The Gordon Craig Theatre in Stevenage. As usual from Southside there is a blend of homegrown stars with a mix of international names as well. One international name who shall be making his Southside debut is Cedric Alexander. A mainstay in Ring Of Honor, 'The Lumbar Legacy' will now step in the ring with the longest reigning Speed King Champion in history in the shape of Martin Kirby. 'The Zoidberg Master' is one of the foundations of Southside Wrestling and British Wrestling as a whole. Alexander is known for bringing his non-stop style to every match but his opponent, Martin Kirby does exactly the same. Opportunity is the keyword for four teams this Saturday as they fight it out to become the next number one contenders to the Southside Tag Team Championship. The Young Wolves, The Hunter Brothers, Stixx & Flips, and The Inter Coastal Violence Connection are all competent as both individuals and teams so a winner in this match won't be easy to pick. While Hunter Brothers and Young Wolves have more experience as teams, the new team of Stixx and Chris Tyler or the birth of Chris Brookes and Travis Banks brand-new team could provide an upset and head straight to a championship match. When Angelico announced his tour of the UK, he went on record as saying he wished to face the best. Well he's going to get his wish this Saturday in Stevenage as he will be facing former Southside Heavyweight & Tag Team Champion; 'The Star Attraction' Mark Haskins. When a Haskins match is announced, you don't ask whether it will be good, you ask just how good it's going to be. Angelico is no walkover by any means and will be a serious challenge to Haskins. That being said, Angelico may end up thinking twice about asking to face the best when the best is world-class. 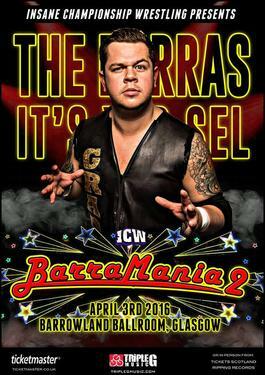 Finally ending the weekend on Sunday and Insane Championship Wrestling return to the the world-famous Barrowlands in Glasgow with BarraMania II. While ICW will be immortalised in the Barrowlands Hall Of Fame, the event will also see two roster members leave the promotion on the same night. Firstly, Nikki Storm shall compete against her former intern, Sammii Jayne. What started off as productive relationship soon turned sour as Sammii found herself overshadowed by 'The Best In The Galaxy'. After standing up for herself, Sammii now wants Nikki gone from ICW and in-turn Nikki wants to see the last of Sammii. Somebody is getting their wish this Sunday. 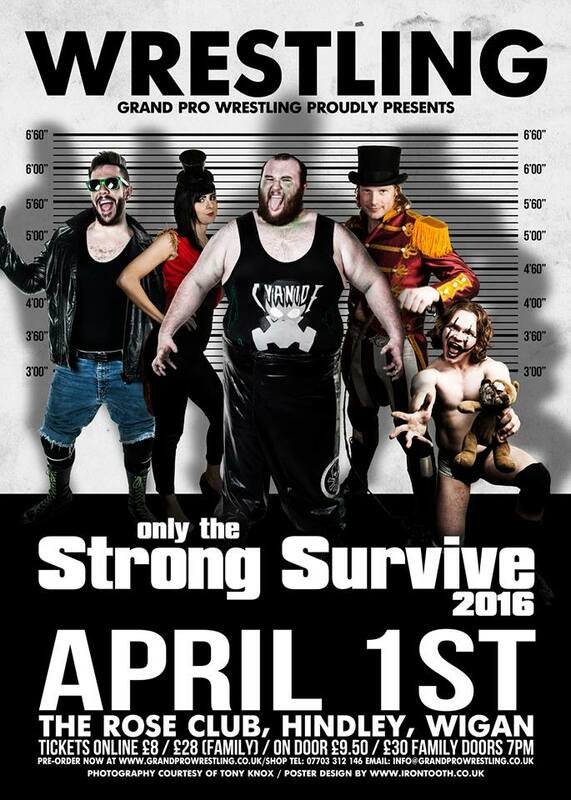 April 2nd will also see one team walk away without their manager and possibly their championship gold. Since winning the ICW Tag Team Championship, The 55's Kid Fite and Sha Samuels have been rather reluctant to give Mark Coffey and Jackie Polo of Polo Promotions any more opportunities at winning the gold back. Polo Promotions had to resort to attacking The 55's manager, James R Kennedy with a steel chair before ICW majority owner, Red Lightning would grant the match. However he added the stipulation that at BarraMania II the match shall be an I Quit Towel contest with the added dimension that whichever manager throws the towel in for his team will be force to quit ICW. When the biggest weekend in professional wrestling comes around, it's only fitting that member and former members of one of the biggest dominating factions in ICW history would collide. BT Gunn and Chris Renfrew of the New Age Kliq were shocked when their allies and family, Wolfgang and Stevie Boy turned on them and aligned themselves with Red Lightning and the Black Label. Since then they hatred as grow to epic proportion between to two groups and now it's come to a head. Former brothers will meet in the ring this Sunday and settle their differences. However, not everyone may be walking out. That wraps up this week's preview of the weekend's wrestling schedule. Of course, there are many more events taking place over the three days. To find out more about the shows we've highlighted here as well as all the others, check us out at www.wrestleropesuk.wordpress.com for the latest show and match announcements, British Wrestling event list, interviews, exclusive columns, reviews, reports and results!